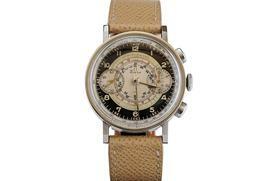 This Angelus chronograph has an elegant silver dial with two chronograph dials and a date aperture at the 12 o'clock. 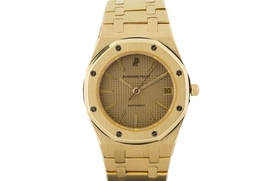 Rare discontinued model of the Audemars Piguet Royal Oak 35mm in 18k yellow gold. Does not include box or papers. Will fit a 6 ½ Inch Wrist. D Series. Audemars Piguet Royal Oak Day-Date reference 25594 in stainless steel / yellow gold with day-date registers and moon-phase aperture. 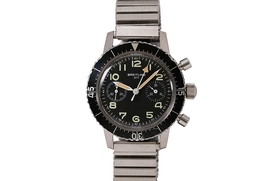 This is a great Blancpain Fifty Fathoms "No Radiation" Dive watch. 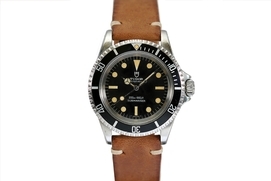 This is a third generation Fifty Fathoms that came onto the market in the 1960's. This watch clearly shows the "No Radiation" sign above 6. This was done in response to the knowledge that the earlier models with use of radium could be a cause of concern. This condition of this watch is excellent, with original lume, beautiful dial and intact bezel. Great watch! 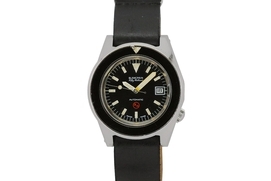 This is a rare Blancpain Fifty Fathoms diver’s watch circa 1975. 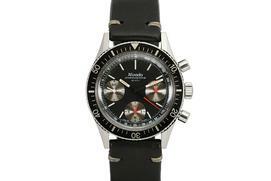 It was made for the general dive service for the Bundeswehr and has stock number: 6645-12-171-4162. The overall condition is excellent. The original 3H dial is in great condition with original lume on the hands and dial. The watch is powered by an automatic Cal 11 ETA 2873 movement. Great and rare chunky watch with 42mm case and rotating coinedge bakelite bezel. 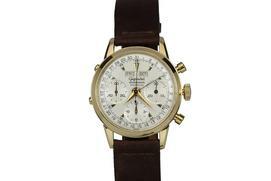 The watch we have here is an amazing condition Breitling 806 Navitimer in 18kt yellow gold. The original shiny black twin plane logo gilt dial is in excellent condition. We believe the case on this watch to be unpolished. This wonderful watch is powered by a Venus caliber 178 manual wind movement. 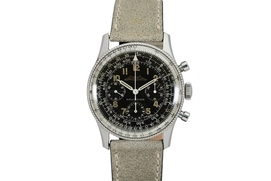 This is an incredible all original example of a Breitling 817 military watch from the 1970's. The watch is in excellent condition with a beautiful dial and case and bezel. These watches were specifically made for Italian Helicopter pilots , (Army Pilots, not Air Force pilots) and in some rare cases to platoon commanders of the Battaglione Paracadutisti Carabinieri “Tuscania”. 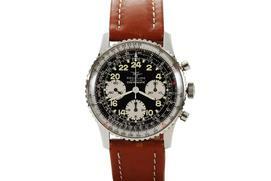 This Breitling CP-1 E.I Esercito Italiano Ref 817 is run by the Valjoux 236, 17-Jewel manual wind movement. The watch comes on its original flex bracelet. 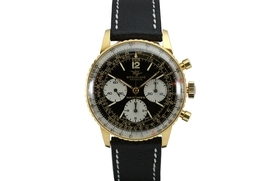 This is an exceptional example of a Breitling Navitimer, Ref. 806, with a beaded bezel, it is the 1st edition of the Navitimer. The dial bears the logo AOPA (Aircraft Owners & Pilots Association) which is rare and desirable detail of this watch. What makes this model even more important is that there are a very limited number of these Breitling Navitimer watches with the collectible Valjoux 72 movement, it usually has the Venus 178 movement. 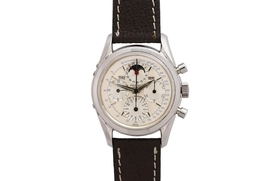 This is a beautiful example of the Breitling Premier ref 788 anti-magnetic chronograph with a black dial, Arabic numerals, three subsidiary registers, a screw down case. The hands on this watch have been professional re-lumed. 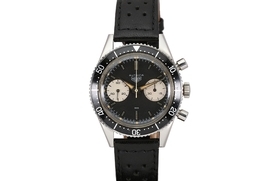 This is an excellent example of a Breitling Top Time reference 824 from the 1960’s. 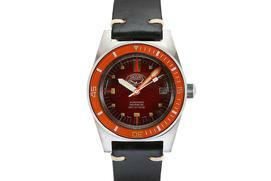 The original dial has the AOPA (aircraft owners & pilots association) logo at 12:00 as well as 24 hours on the dial. The case of this watch is also in excellent condition. 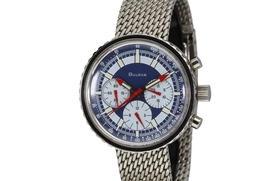 This is a vintage Bulova chronograph known by collectors as the 'Stars and Stripes" chronograph because of its exotic red, white and blue dial. The over-sized monobloc case is in excellent condition and uses a removeable bezel to access the Valjoux 7736 manual wind movement inside. This is the same movement Heuer Autavias used from the same era. This watch comes on its original Bulova mesh bracelet. The condition of this watch is exceptional. 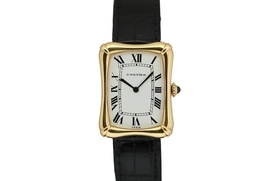 This rare Cartier Paris wristwatch is known as the Tank Chinoise. The case is in excellent condition with very sharp edges. This is run with a Cartier LeCoultre manual wind movement. 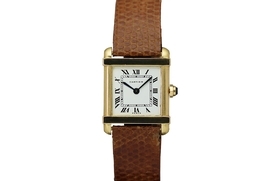 This is a rare Jumbo Cartier Tank from the 1980's. 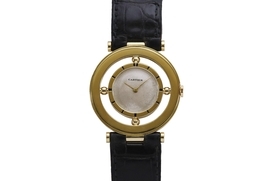 This watch is automatic and has a bubble style back to accommodate for the movement. This rare 18kt Yellow Gold Cartier watch is known as “The Helm”. It takes this nickname from the form of the bezel which looks like a ships wheel. 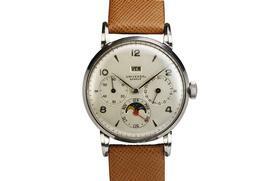 This wonderful watch is powered by a manual wind European Watch & Clock movement. 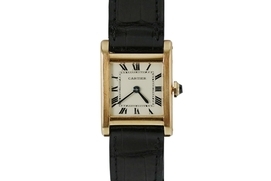 The case has the Vendôme T-Bar lugs which attach to the Cartier strap and Cartier deployant buckle. 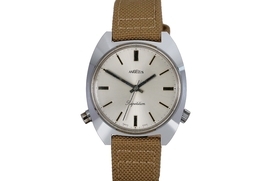 Eterna-matic Kon Tiki 20 with a heavy case and integrated large link Eterna-matic bracelet. 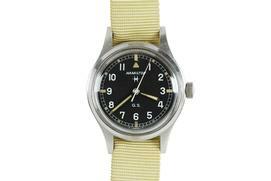 The Hamilton Military watch is a military watch for the Abu Dhabi Defense Force (A.D.D.F.) as seen on the case back. 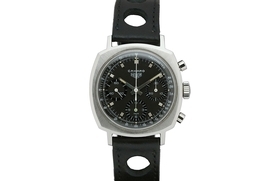 This is an exceptional Heuer Tripledate Calendar chronograph - Carrera 12 Dato. This watch is powered by a manual wind Valjoux 72C movement. 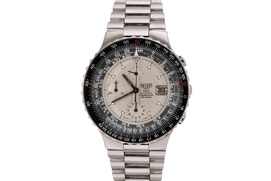 The original silver dial is all original and in excellent condition. The case is nice and strong with its snapback case. 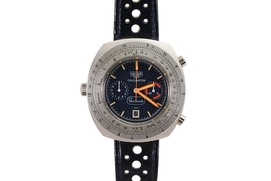 This is a near mint example of the Heuer Camaro model from the 1970s. This is the reference 7220 and powered by the Valjoux 72 manual wind movement. 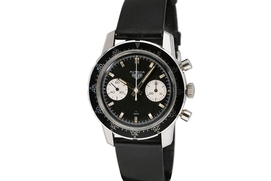 The dial on this Heuer has a satin finish dial and shiny chronograph registers. You don't see many of these models and it is very difficult to come across one in such beautiful condition. Comes on a non-Heuer strap. 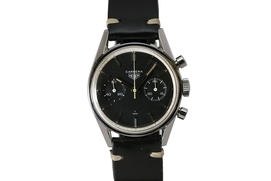 This is a great example of an original Heuer Carrera from the 1960s. 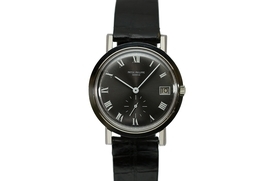 The watch has an incredible original black dial in excellent condition. It is quite difficult to find the vintage Heuer Carreras today in such nice condition especially in the dial. This rare 2 register model features the calibre 92. An incredible example of the Heuer Autavia two register chronograph with a Valjoux caliber 92 manual wind movement. The case still has sharp edges and the dial is in beautiful condition. This Tag Heuer Pilot Chronograph ref 130.206 Features a 42mm diameter case with knurled bezel, mineral crystal, silver dial and registers. This watch is powered by an automatic movement. 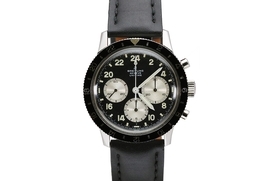 This wonderful all original watch comes on its original Tag Heuer signed bracelet with deployment clasp with flip lock. 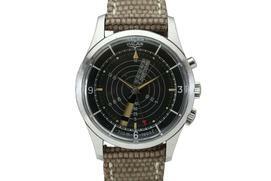 This is a very rare Heuer 3500 Calculator watch for "Beechcraft" , which is an American manufacturer of aircrafts. 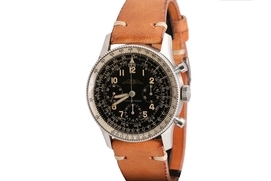 The Beechcraft logo is prominently displayed in the middle of the original deep blue dial. 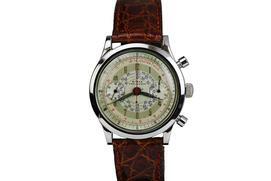 This watch is a calculator chronograph with precision slide-rule and is powered by a caliber 12, 17 jewel automatic movement. The condition of the watch is exceptional. We believe the case to be unpolished and the dial and hands totally all original. What is also very cool about this watch is that it has the numbers on the back case which would match the wing number of the aircraft it belonged to. This is a Heuer Autavia Ref 7763 MH with minute/hour bezel, a reverse Panda dial, thick angled beveled lugs and snap-back compressor case. 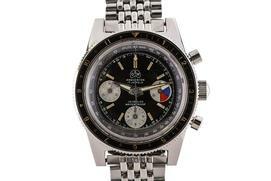 The Valjoux caliber 7730 manual wind movement in this Autavia is considered a transitional model. Beautiful Heuer Carrera with a red tachymeter tracking, three chronograph registers, and run with a caliber 72 manual wind movement. 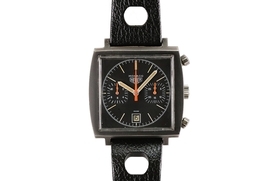 Heuer Monaco "Dark Lord" with PVD - coating were made for one year in 1974. Only between 100 -200 pieces were made. This watch is powered by a Valjoux 7740 manual wind movements. 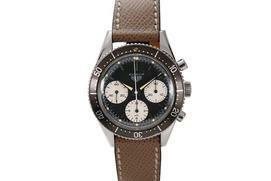 This is a rare and beautiful Heuer Autavia from the early 1960's. The early version has some distinctive features which include a screw-down back, dauphine hands, rotating minute track bezel and larger registers. 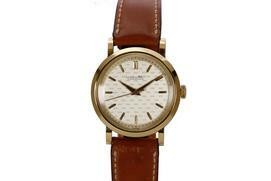 This particular watch is in excellent condition with an original dial and a very strong case. The luminescent makers and hands have a very pleasing patina and match very well. 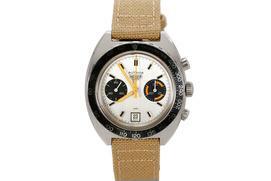 This is an excellent example of a white dial Heuer Autavia reference 73463 from the 1970's. The watch case, dial and the bezel are in beautiful condition. This is run with the Valjoux caliber 7734 manual wind movement. 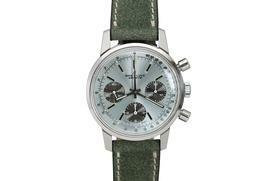 Comes on a Heuer modern Cordura strap. This is a mint example of a second generation Heuer Autavia ref 2446 that is unpolished and has original untouched dial and hands. 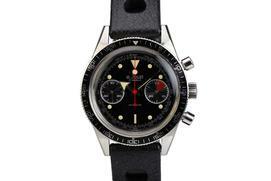 The rotating bezel is in excellent condition with the exception of the lume which is missing in the triangle. The engraving on the back case is crisp and untouched. One of the best examples I have seen. This IWC Aquatimer reference 812 has the famous IWC caliber 8541 aka Pellaton winding system, the classic twin-crowns, and an IWC bracelet. 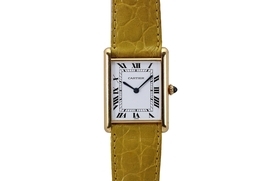 This is an elegant International Watch Company yellow gold over-sized wristwatch with a rare textured dial. The watch is run by a caliber 89 manual wind movement. 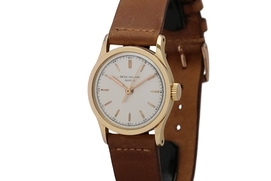 Watch comes on a modern shell cordovan strap and an original IWC buckle. Elegant International Watch Company dress watch with floral cloisonne enamel in dial center and graceful faceted lugs.This is run by the caliber 89 manual wind movement. This is a wonderful 1970’s space age designed Jaeger LeCoutre Memovox GT “Speed Beat” reference E873. This watch is powered by a caliber 916 movement. The watch is minty and comes with its original Jaeger LeCoultre box. This is a wonderful Jaeger LeCoultre Memovox with original two-tone dial and date aperature at 3 O'clock. The case on this watch is sharp as a knife, I do not believe it has ever been polished. This watch is powered by a caliber 916 automatic movement. 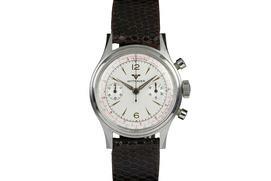 Le Jour "Fat Arrow" two-register chronograph with stainless steel screw-down case back, Valjoux cal. 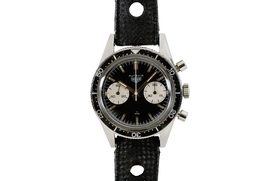 7730 manual-winding movement, and has original gloss black tritium dial with beautifully aged indexes. In the late 1960’s the Italian army commissioned chronograph specialists to make watches for the Army Pilots, this Leonides E.I. 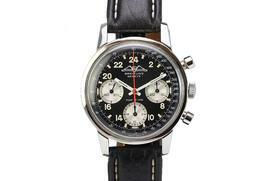 Cronometro Chronograph CP-2 is an example of one of these Italian Military watches.. 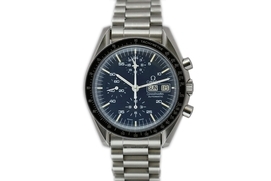 This is an incredible watch, with a sharp, clean case and original dial. This piece is powered by a caliber 222 movement. Comes with Leonides box. 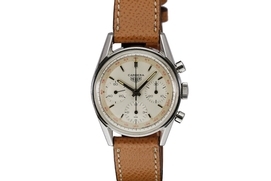 Longines Flyback Chronograph, Ref. 7981, with a manual wind caliber 530 movement. The dial is black with silvered tachymetre track and registers, maroon bi-directional rotating bezel, and period stainless steel bracelet. 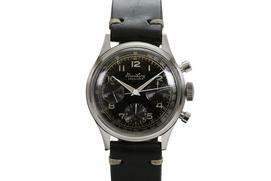 This is a fantastic oversized Longines wristwatch in stainless steel. The original salmon dial is a beauty with arabic numbers. 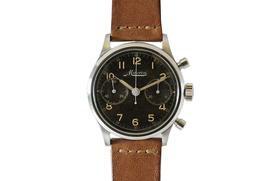 The subsidiary seconds register above 6 accentuates the vintage look of this watch. It is rare to find a Longines in stainless steel of this size. 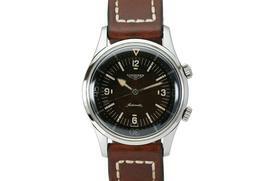 This is a rare staybrite steel Longines Aviator Weems from the 1940’s. 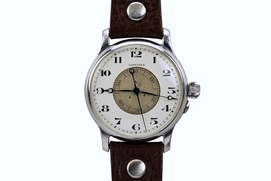 Its over-sized steel case has a double hinged case back, white enamel chapter ring with Arabic numerals, an inner dial, a caliber 18.69N manual wind movement and a large winding crown. The watch is in excellent condition with no hairline cracks to the dial. 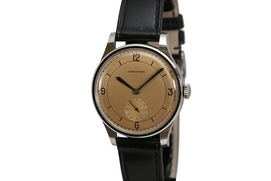 This watch comes with an Archive from Longines. 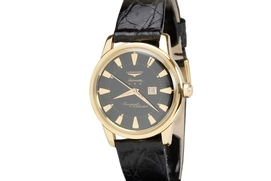 This is an 18k yellow gold Longines Conquest from the 1950's with a black original dial. Typically the gold conquest models have gold tones dials and a black dial for this model is extremely rare and quite attractive. The enamel waterproof logo on the back of the watch is still showing. The case is in beautiful condition. 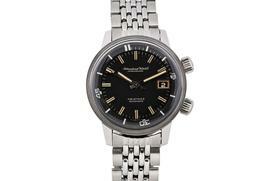 The Conquest has an automatic movement powered by the Longines caliber 19 ASD. 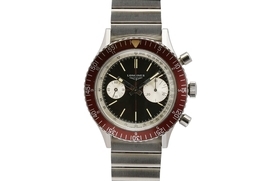 This an incredible example of a stainless steel Longines Dive watch from the 1960's. The case is in mint condition. The dial is also in mint condition with a beautiful shiny gloss and very attractive luminescent markers and hands. The watch is automatic and has an inner rotating diver's bezel. 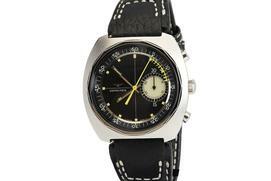 This is an exceptional example of a Longines chronograph from the 1970s known as the Nonius. The watch is powered by Longines caliber 30ch. This Longines has a chronograph 1/10th second recorder by means of a hand bearing scale from zero to nine units. This is an exceptional Mathey Tissot chronograph with an original black dial, large case, and run with the valjoux 225 manual wind movement. 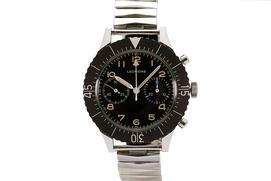 Listed is a Minerva chronograph with an over sized case, pump pushers, and an original military style black dial. This is a lovely Movado Calendomatic in 18kt Rose Gold. This watch is powered by an automatic Caliber 225M movement. The original two tone dial has applied arabic and triangular markers. 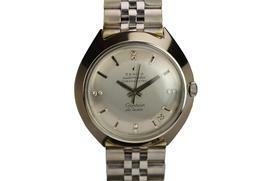 This is a tripledate wristwatch which shows month, day and date. 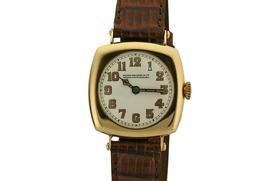 Great vintage solid gold watch at an affordable price. This is an absolutely exquisite Mulco chronograph with a large antimagnetic waterproof case back, angled lapidated lugs, original gilt dial, and a usual tapered chronograph pushers. 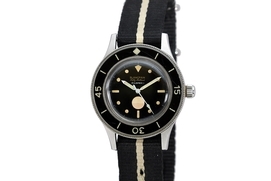 This is a lovely Nivada Chronoking with an original black dial. The water resistant case on this watch is unpolished and in excellent condition. This is a beautiful Ollech & Wajs Astro-Chron has a rare Landeron caliber 349 movement, tri-color gloss dial and bakelite bezel. 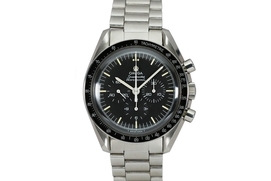 This is an Omega Speedmaster Professional Ref 145022-69 ST with a caliber 861 manual wind movement. 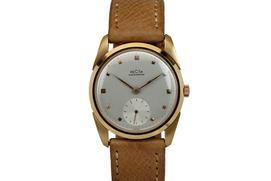 This is an elegant over-sized Omega dress watch. 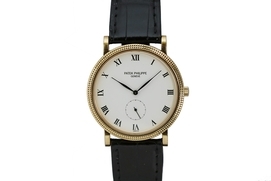 The large 38mm 18kt rose gold case has downward curved lugs and strong edges. 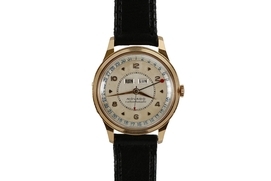 The original gold-tone colored dial with applied arabic and triangular markers is in excellent condition. The large original dial has a subsidiary seconds register to count seconds. 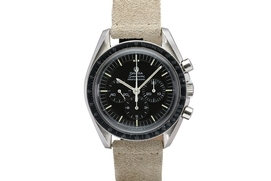 This is a classic and elegant vintage Omega. 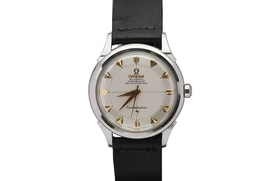 This is an exceptional example of a 1960s Omega Constellation in stainless steel. The silver pie-pan dial has beautiful gold heart-shaped markers. The constellation logo on the back of the watch is crisp. 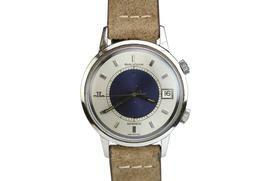 This automatic watch is run with a caliber 505 movement. 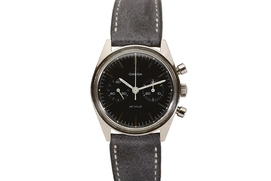 The watch comes on an Omega box. This is a beautiful example of the Omega Aviator's watch from 1938. 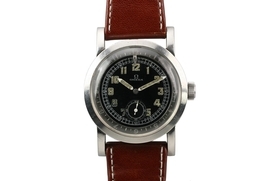 This model, the Pilot’s watch, is extremely rare and it is truly unique to find one like this with original dial in excellent condition. This may be the nicest example we have ever encountered. 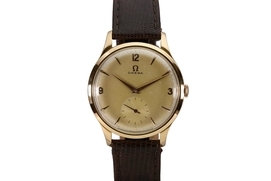 The watch was serviced at Omega and is accompanied by the Omega Extract of the Archives indicating its production in November of 1938. 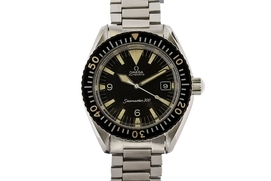 This is an exceptional example of an Omega Seamaster 300 from the early 1970's. The case, dial, and bezel are all in top condition. . The dial on this watch is in excellent condition with sword hands whose patina matches the dial. 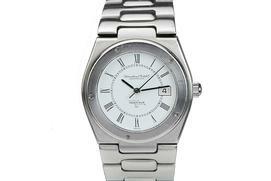 This piece is powered by a Caliber 1565 24 jewel automatic movement. 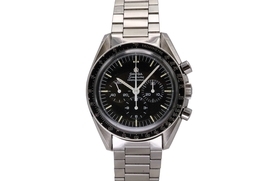 This watch comes on its original Omega stainless steel band. 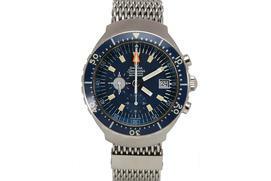 Beautiful example of the Omega Seamaster Chronograph "Big Blue". 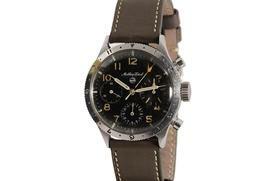 It is an automatic chronograph with a center minute recorder, 24 hour indicator, and date feature. It comes on an Omega shark-mesh bracelet. This is a massive watch measuring 44x52mm and 16mm thick. 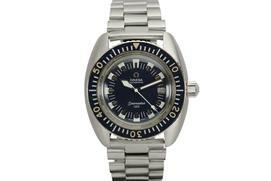 This Omega Seamaster 120 has a bold look with gently curved lugs and is on an Omega bracelet. 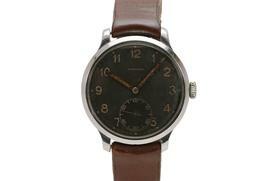 The bakelite bezel & dial are in excellent condition. This is run with an automatic in-house caliber 565 movement. This is an Omega Seamaster, the fat boy of Seamasters. 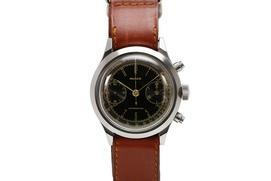 Over sized Omega chronograph with an original two tone dial. 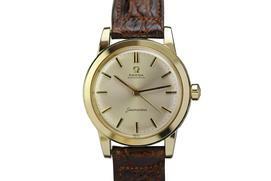 This is an example of a 1960s Omega Seamaster XVI in 18k rose gold. 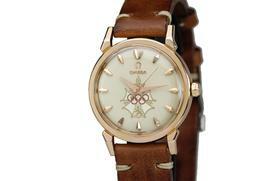 The dial has the Cross of Merit & Olympic rings and beautiful faceted coffin markers on the dial. The constellation logo on the back of the watch is crisp. This is a fun little Omega Deville chronograph from the 1960s with a blue original dial. 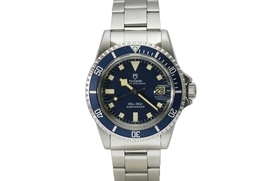 Typically this model comes with a plain silver dial and to find one with this blue color is quite rare. The watch is in excellent condition with an unpolished case and mint dial. This Omega Seamaster is in near mint condition in 14k yellow gold, caliber 500 automatic movement, on an Omega leather strap with a 14k tang buckle and comes with box and guarantee booklet. 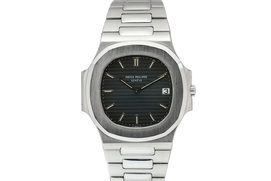 This is a lovely and classic Patek Philippe Calatrava reference 2457. 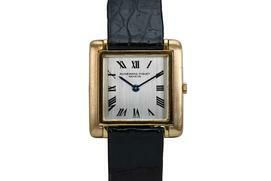 This classy beauty is in 18kt Pink Gold with an original silvered dial with applied pink gold markers. This dial also has an outter rim with 60 seconds surronding it. This watch is powered by a manual wind caliber 27SC , 18 jewel movement. Great classic watch for a man or woman. Patek Philippe Calatrava Ref 3410 with a manual wind caliber 27-AM 400 movement and a classic silvered dial, applied baton numerals, subsidiary seconds register and a snap case back. 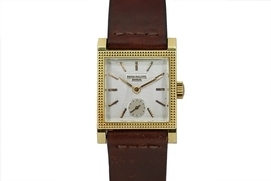 This watch comes on a brown Patek Philippe strap and 18kt Patek Philippe tang buckle. 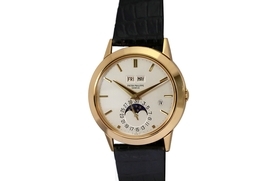 This is a rare and early Patek Philippe, Geneve in 18k gold cushion shaped wristwatch. The dial has Arabic numerals, outer railway minute divisions, cushion shaped case, enlarged bezel, downturned wire lugs, snap on back. Case, dial and movement are signed. 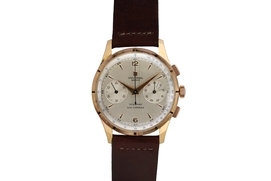 This is an exceptional New Old Stock Recta Chronometre in rose gold with hang tag and box. This watch has a similar look to the Vacheron Constantin "Batman" with its think curved bat-like shaped lugs. 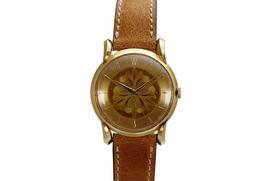 This watch would be great for a woman as well as a man. 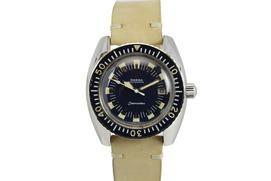 Salvas Substar dive watch with a caliber 2782, 25-Jewel automatic movement. This is an exceptional Universal Geneve Tri-Compax in 18kt pink gold. 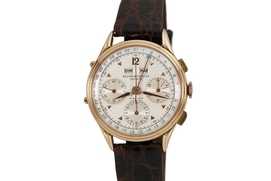 This watch features a triple date calendar function as well as a chronograph. The snap back case is unpolished and in mint condition. The original silvered dial is pristine. We come by these watches often, but never in this type of immaculate condition. 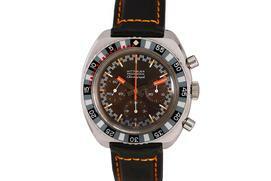 Up for sale here is the Rare and Highly Sought after Universal Geneve Space-Compax. This watch has a black dial with 3 white sub dials and the BIG white 12. The water resistant case is in excellent condition and the black rotating bezel is as well. 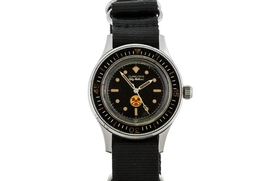 It is very hard to find this watch in such excellent condition. The watch is powered by a Valjoux 72 movement. 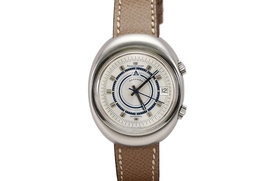 This watch would be a great addition to any watch collection. 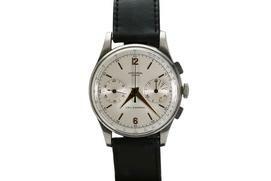 This is a highly desirable example of a Universal Genève Tri-Compax Chronograph from the 1960s. 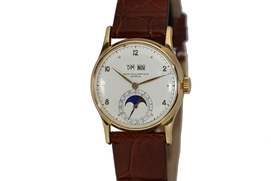 This watch features a triple date calendar and moon phase. The Bombay style case is in excellent condition. This tri-compax has a beautiful original silver linen dial. This watch is powered by a manual wind Caliber 2841 movement. 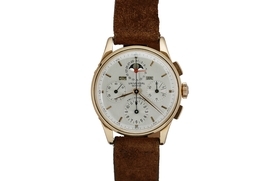 This is an exquisite Universal Genève chronograph in 18k rose gold from the 1950s. The case is in excellent condition with definition to the faceted lugs and deep hallmarks on the side of the case. The original silver dial with applied pink gold arabic and triangular markers is in excellent condition. 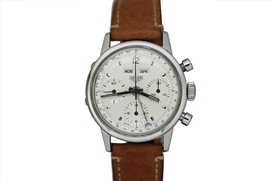 This is a great 2 register chronograph powered by a 285 Caliber manual wind movement. Universal Geneve Triple Date Moon Phase in stainless steel with a snapback case, sharp horn lugs, lightly aged dial, aperture window with the day in Spanish. 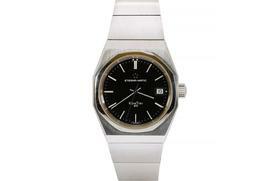 This is an extremely rare Vacheron Constantin model 222. 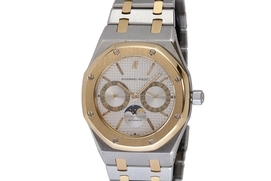 I have only seen of few these watches come up for sale in 18k yellow gold. 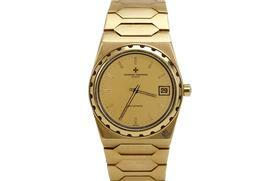 This particular watch is in excellent condition with a gold color original dial and tight integrated bracelet. Vulcain Cricket-Nautical Ref S 2321 A is an over-sized wristwatch featuring decompression charts in the design of the dial, twin crowns, one to operate the inner bezel and the other to set the hands and a pusher that operates the alarm. 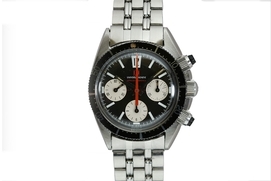 This Wittnauer Professional Chronograph Scuba Roulette ref 7007-13w-246T is in excellent over all condition. The dark dial has mellowed into a wonderful deep chocolate tropical color.. The roulette style rotating bezel is fully intact. Bezels made from enamel or Bakelite frequently end up cracked or destroyed over the course of their lifetimes. This one is not. 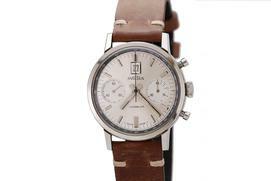 Wittnauer chronograph reference 3256 has an original dial, and nice faceted case. This is an extremely rare example of a Zenith “Captain” Chronometer watch in 18k white gold from the 1970s. I typically see this model in stainless steel but rarely do they come available in 18k white gold. The watch is powered by Zeniths automatic high grade caliber 2542pc. This rare “Captain” watch comes on the original 18k white gold Zenith band.